Manufacturing is evolving, taking new forms enabled by additive manufacturing/3D printing (AM3DP). For medicine, AM3DP has fueled a rise in point-of-care (POC) manufacturing, improving the patient, and turning doctors into manufacturers. POC manufacturing is not new. As far back as 1976, POC manufacturing used more traditional manufacturing methods at the Hospital for Special Surgery in New York for creation of custom orthopedic devices. Today, HSS uses AM3DP to develop prototypes for next generation implants and to build anatomical models for complex cases. POC manufacturing has also been identified as an approach for cellular therapies and eventually, tissue fabrication. POC manufacturing has seen a sharp increase in the last few years with the advancement of materials, machines, and software for AM3DP. Using medical imaging to create patient-matched anatomical models, prosthetics, assistive devices, surgical guides, and more has improved the patient experience. The result has been significant momentum to accelerate. According to a recent SME survey, 96% of POC professionals expect to see continued growth, with nearly a quarter expecting more than 20% growth in 2018. Precision Medicine: Healthcare’s movement to precision medicine is supported by AM3DP’s ability to enable development of treatment plans and devices precisely for the patient. Word-of mouth, success, good clinical outcome: The body of evidence related to POC continues to grow. Transition from central to distributed and point-of-care production: Seeing the benefits of POC, hospitals are creating their own centers, some setting up GMP facilities. The shift is creating opportunities and a need for bioengineers, blending an expertise in biology, engineering, and AM3DP. More accessible AM3DP: Innovation around hardware, software, materials, and processes improve speed, flexibility, accuracy, and lifelike qualities of end product. Resource sharing: The industry is enthusiastic about sharing best practices and knowledge to bring POC to the next level. Potential for growth. With nearly $9 trillion spent each year globally on healthcare, POC manufacturing enabled through AM3DP can help address medical needs. Most often, these clinical AM3DP operations are centered in radiology, building on the radiologist’s experience with anatomy, working directly with surgeons, and processing digital images. Successful POC models include 3D centers within a hospital for both large hospitals and smaller, specialized hospitals; university engineering departments working directly with a connected hospital like University of Michigan and CS Motts Children’s Hospital; hubs of experts and machines for a large network of facilities; and even hospitals doing most of the processing of images, design, and development work and then using a traditional contract manufacturer for production. The Mayo Clinic has fully embraced its role as a POC manufacturer for anatomical models, virtual surgical plans, and some Class 2 medical devices such as osteotomy guides. With an investment of more than $1 million for a lab and equipment to cover the entire enterprise, staffing is also robust with one full time radiologist, two engineers, full time segmenters, and others onsite which leads to valuable collaboration. Jonathan M. Morris, MD, Co-Director of the 3D Anatomic Modeling Lab with Jane Matsumoto, MD, said that the major benefit to in-hospital 3D printing is allowing the clinical teams, engineering, and radiology to interact where the medical care is being delivered. This close relationship helps them collaboratively solve complex medical and surgical problems. One example is the first 3D printed aorta they did for a patient specific simulation. The surgeon came in on Thursday with a patient who was not operative and no stent was on the market to fix the issue. In four days, the stent was created, tested on a patient specific simulator and on the fifth day, it was put into the patient. Walter Reed National Military Medical Center (WRNMMC) is another large hospital that has been a leader in POC manufacturing since the late 1990s. Formed when National Navy Medical Center (NNMC) and Walter Reed Army Medical Center (WRAMC) merged in 2011, the first 3D printer was acquired by NNMC and soon after the 3D Medical Application Center (3D MAC) was opened at WRAMC. Today, the 3D MAC houses 10 printers of various technologies, in addition to medical segmentation software, computer aided design software, 3D scanners, and a cranial photogrammetry system. Their work has been essential to US service members, veterans, wounded warriors, and other beneficiaries. Improving quality of life has also been a focus allowing veterans to pursue activities like playing hockey, weight lifting, cross fit or even yoga. “3D printed assistive devices allow our service members and veterans the ability to accomplish everyday tasks, such as brushing their teeth or using their tablet/phone while in their wheel chair,” Liacouras added. Also serving veterans, the largest integrated healthcare system in the United States with 1,243 facilities, the Veterans Health Administration (VHA) has developed a hub model. Leveraging a network of subject matter experts and AM3DP machines, the VA is on the forefront of developing best practices for the use of 3DP in improving the health of veterans. Today, there are 35 subject matter experts and 30 printers in the system. Thanks to a collaboration with Stratasys, the network is growing with five new Mojo 3D printers being strategically placed to maximize the reach of the network. 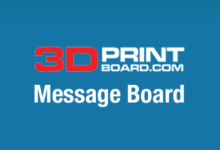 A new Federal 3D Printing Advisory Board will oversee AM3DP activities throughout the entire VA enterprise. Smaller, specialized hospitals have also found value in POC manufacturing. 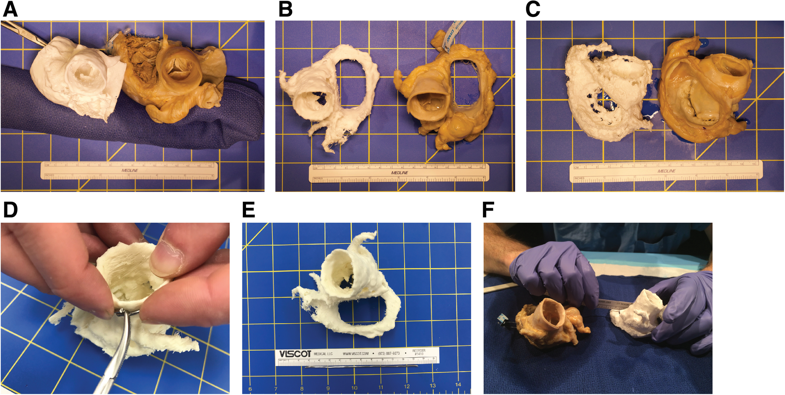 Phoenix Children’s Hospital established the Cardiac 3D Print Lab in 2012 with the goal of providing surgeons and interventionalists an opportunity to review patient specific anatomy as a physical model. Justin Ryan, PhD, Research Scientist, began working with the hospital while a graduate student at Arizona State University and has seen more than 450 clinical planning models used for planning, resulting in reduced operating time and bypass time for more complex cases. Ryan also highlighted the holistic benefits enabled by anatomical models. “3D models give patients and their families a wealth information,” said Ryan. “Literature shows the better they understand their disease, the better adherence to their medical regimen,” he added. The Phoenix Children’s Hospital team has developed a unique application. Neurosurgery researchers approached Ryan to print brain tumors for patients AFTER their surgery and radiation therapy. The model is given to the patient to smash them, “as a cathartic expression of getting over the struggle of the disease,” Ryan explained. With all the success of POC manufacturing, challenges still exist to be able to impact more patients with the benefits of AM3DP. In addition to faster processes capable of micro and nano-level precision and more materials that can be biocompatible and/or sterilizable, POC manufacturers face a complex regulatory environment, funding without direct reimbursement by payors, developing a qualified workforce, and knowledge. To address these, the POC community is working together to find solutions. Reimbursement: While anatomical models and surgical guides are not directly reimbursed, hospitals cover the cost as it saves time/costs later. The RSNA 3DP SIG working with the POC manufacturing community is building support for development of the CPT code process and evidence needed to reach reimbursement. Quality: Protocols must be in place to ensure quality standards are met, whether products are manufactured in-house or outsourced. Standards Development Organizations (SDOs) are working together in the America Makes/ANSI Additive Manufacturing Standards Collaborative to identify and prioritize gaps. The RSNA 3DP SIG is developing appropriateness guidelines for the use of anatomical models. The SME Medical AM3DP Workgroup brings together stakeholders to facilitate sharing some of the knowledge and experience of traditional manufacturers and researchers with POC manufacturers. This has included approaching the DICOM committee to update the DICOM standard (which covers the file format for all medical imaging files) to better facilitate the needs of AM3DP. The first update for stl files will be released within a few months, followed by additional AM3DP file formats. Qualified Workforce: The growth of AM3DP in medicine requires the collaboration of medicine and engineering, with bioengineers trained in 3D printing playing a key role. Educators, industry, and medical institutions are working together to make recruiting and training a priority. Competency models for AM3DP engineers and technicians have been published by the SME Medical AM3DP Workgroup and serve as a foundation for the development for courses and curriculums. A detailed Body of Knowledge (BOK) will be published within a few months to provide further direction for workforce development. With all the technology and challenges for POC manufacturers, the number one priority remains patient care. The collaborative approach needed to impact more patients will be clear at the Medical Manufacturing Innovations program at the 2018 RAPID + TCT event, April 23-26 at the Fort Worth (Texas) Convention Center. From the Monday workshop, “3D Printing in Hospitals,” designed for those new to POC manufacturing or considering developing a hospital-based operation, to the in-depth conference sessions on clinical applications, prosthetics, implants, and biomaterials, the cross-discipline, collaboration will be clear. Community, industry, and healthcare collaboration will also be the focus of several co-located meetings including the DICOM WG-17 3D Manufacturing Committee meeting, America Makes/ANSI Additive Manufacturing Standardization Forum, RSNA 3DP SIG meeting, and the SME Medical AM3DP Workgroup meeting. Highlights for anyone interested in AM3DP applications in medicine will be the keynote presentation on Wednesday, April 25 given by the Mayo Clinic team of Jonathan Morris, MD and Amy Alexander, BME, MS. The Mayo Clinic 3D Printing/Anatomic Modeling Laboratory produces over 700 anatomic models per year for complex surgical care, multidisciplinary care of complex patients, presurgical simulations of patient specific vascular and non-vascular procedures, custom device creation, and medical and patient education. Morris and Alexander will share how point-of-care manufacturing is providing patient care advantages, presenting unique obstacles of engineering within a hospital, creating the need for collaboration across disciplines, and impacting the lives of many patients and their families.